After graduation in 2007, Anne Theresa Eidhoff studied at Westfälische Wilhelms-Universität Münster Business Administration with a focus on marketing, management and finance. From 2011-2013 she studied at Hohenheim getting her Masters in Management and Marketing & Management. 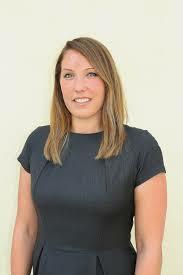 Since February 2014 Anne Theresa Eidhoff is Research Associate at the Department of Marketing & Business Development at the University of Hohenheim. During her studies she gained practical experience in product management of a large Logisitik- and postal service, the Customer Relationship Management of a media service provider in project controlling an agricultural machinery manufacturer, and in consulting. In addition, it is in the center working for Graduate Survey, which is based at the Department of Marketing & Business Development since December 1 of 2010.